INDIANAPOLIS, Ind. 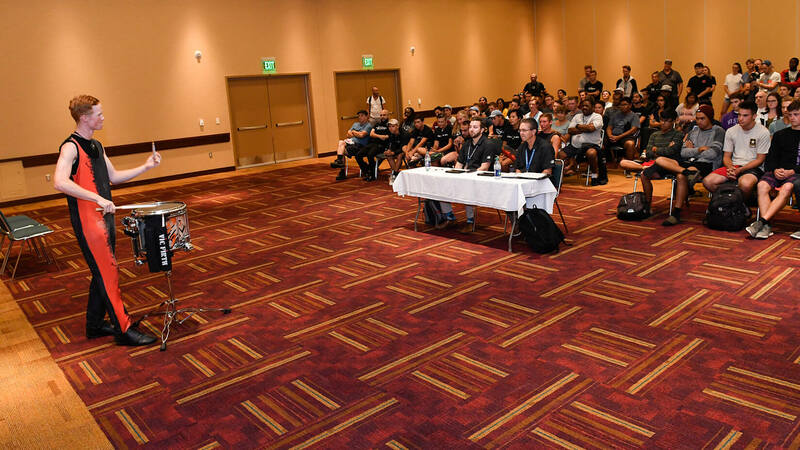 — Hundreds of performers took over Indianapolis Wednesday afternoon for the DCI Performers Showcase presented by System Blue, which allowed members from DCI’s World Class, Open Class and SoundSport ensembles a rare opportunity to showcase their own unique skills. 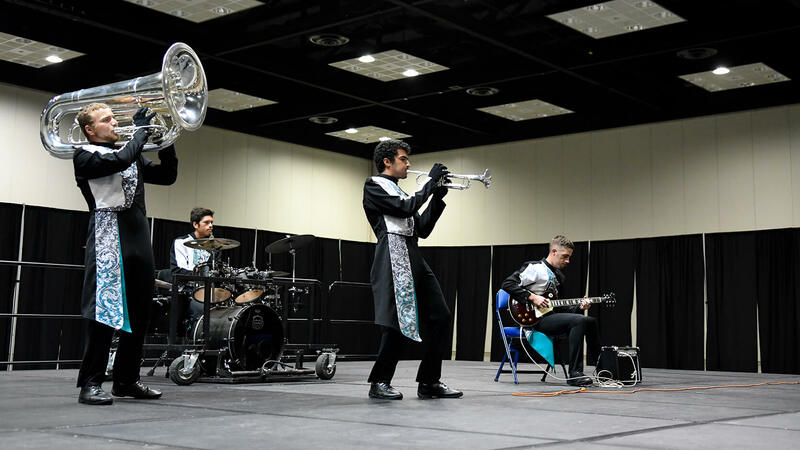 Four stages — three in the Indiana Convention Center and one in the Indianapolis Arstgarden — featured a wide array of musical and visual performance, ranging from common drum corps instruments to vocals and woodwinds. The Artsgarden, a glass domed structure suspended above the intersection of Washington and Illinois Streets, featured vocal and visual presentations. Ally Farrand, Pioneer’s color guard sergeant and one of the many members of the Wisconsin corps who took part in the Performers Showcase, particularly enjoyed the unique venue. 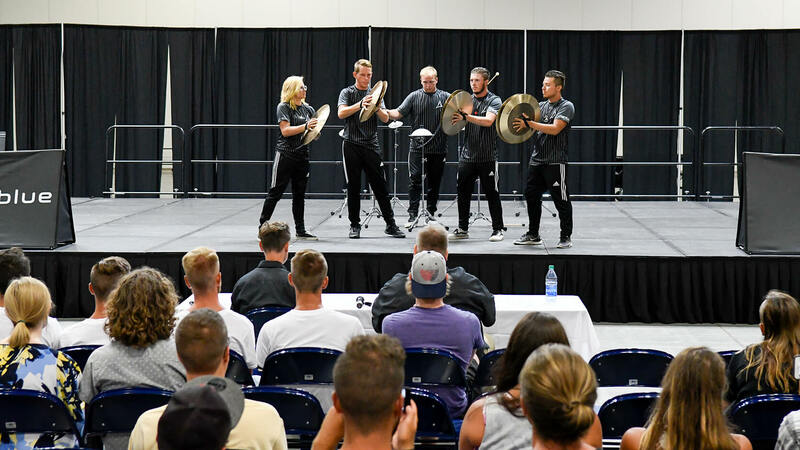 Farrand, an impending age-out, said she’s been attending the event for all six years of her drum corps career, but this was the first time she’s experienced the perspective of the performer. A few blocks away, the Convention Center featured solo percussionists, brass players and small ensembles. Josh Hirner, a tenor drummer, was one of three members of Santa Clara Vanguard’s percussion section to present an original solo. Hirner, much like his fellow performers, has quite the weekend coming up with the start of the DCI World Championships looming Thursday. The fourth-year Vanguard member said he appreciated the ability to break away from the corps’ day-to-day rehearsals and participate in what is, for him, a once-in-a-lifetime event. 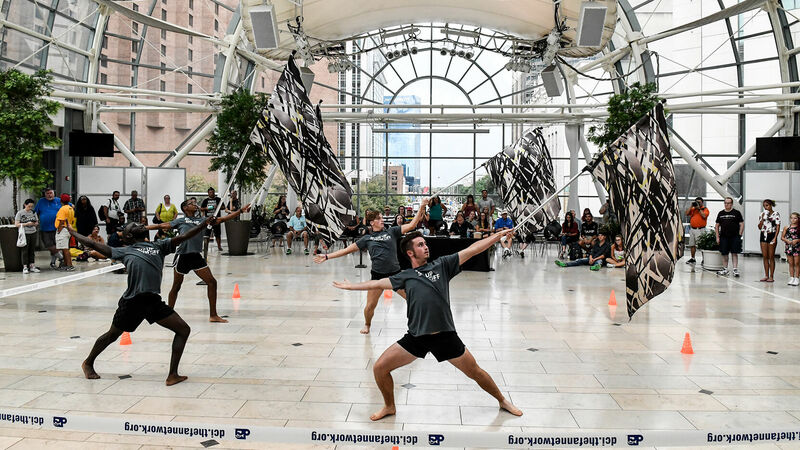 But most importantly, the Performers Showcase allowed drum corps members to be themselves and put their own personal skills on display before taking the field and competing in Lucas Oil Stadium.